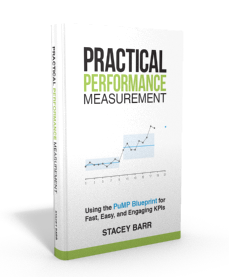 You already know that I specialise in the nitty-gritty steps of the performance measurement process (like how to design meaningful measures), but having the measurement techniques is just one part of a successful performance measurement implementation. 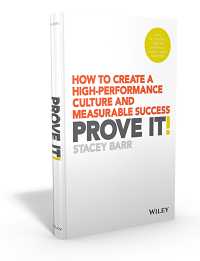 You also need to understand that setting up a performance measurement system is a PROJECT – at least until it becomes a business-as-usual process. And this is why I enjoyed reading David Parmenter’s book so much. It offers a performance measurement implementation approach that acknowledges you must treat it like a well designed project. 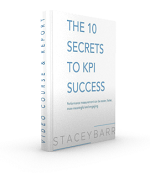 I hope you’re looking forward to meeting David and hearing his 10 lessons for implementing KPIs!